Michael J. Hudock Jr. provides comprehensive wealth management services to high net worth individuals and families. As President of HCG, he is responsible for strategic development initiatives while focusing on advising families and individuals on their trust and estate planning needs, wealth transfer strategies and generational asset management. He has been with HCG or its predecessor firm since 2003. Previously, Michael worked for Wells Fargo Bank in Atlanta, GA as a Credit Manager where he consistently ranked among the top three performers in performance and loan acquisition within the bank’s Southeastern Region. Michael is a Certified Portfolio Manager ( CPM ) having received his certification through Columbia University and the Academy of Certified Portfolio Managers. Michael is a graduate of the Institute for Preparing Heirs. The Institute for Preparing Heirs was created by founding directors Roy Williams and Vic Preisser and is dedicated to increasing the success rates of wealth transitions from one generation to the next. Data collected during their field work indicated that in spite of excellent tax and estate planning by professional advisors, most wealth transfers fail over 1 to 3 generations; “failure” is defined as “loss of control of family assets and harmony.” The main contributors to this loss were in the realm of family dynamics, most notably in a lack of trust and communication, lack of preparation of heirs and lack of a unified vision regarding the wealth. Michael earned his Bachelor of Arts with a double major in Financial Planning and Consumer Economics from the University of Alabama in 2001. He is committed to creating client partnerships based upon trust and synergy. He embraces the life goals and financial objectives of his clients and develops them into real-life action plans uniquely designed to align with their lifestyle and long-term dreams. A driving force behind Hudock Capital Group’s commitment to help make our community a better place to live, Michael maintains and continues to build the firm’s philanthropic efforts on many fronts. 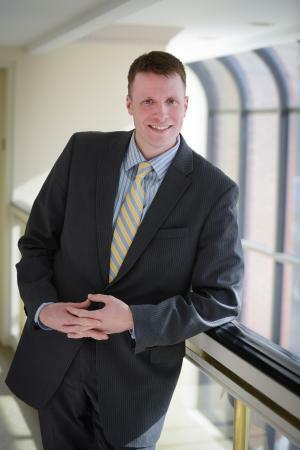 He is directly involved in support of the Boy Scouts of America and is passionate about music and serves on the Board of Trustees for the Williamsport Symphony Orchestra. He is also on the Board of Directors of the Penn College Foundation and The Woodcock Foundation for the Appreciation of the Arts, Inc. When he’s away from the office, Michael enjoys spending time with his wife Lyneah, and sons MJ and Benner. He enjoys golf, Kettle bell workouts, and all sports. He is also a supporting member of the University of Alabama Alumni Association and a Roll Tide fan.